Juan Martin del Potro marked his clay-season debut with a 6-3, 6-3 win over Damir Dzumhur in the second round of the Madrid Open on Tuesday. It was the 22nd triumph this season for the sixth-ranked Del Potro, who has the most victories on the ATP Tour in 2018. 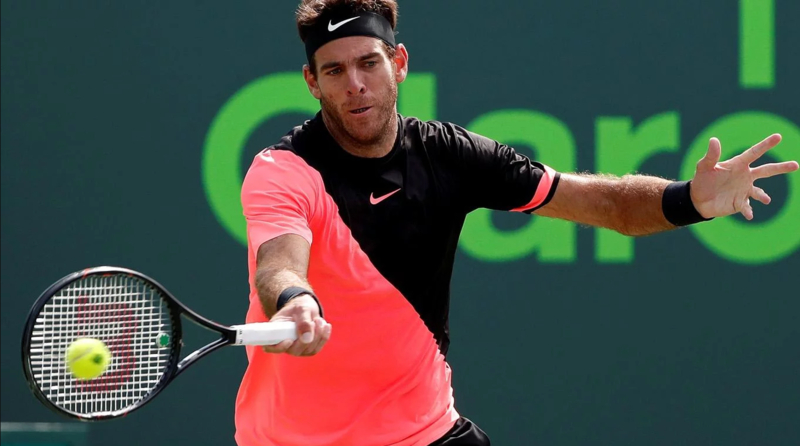 “I was playing well out there,” said Del Potro, who won back-to-back titles in Acapulco and Indian Wells earlier this year. The Argentine – who took a break from the ATP Tour after his 15-match winning streak was ended in the Miami Open semi-finals by John Isner – looked reinvigorated as he needed just 80 minutes to defeat Damir Dzumhur – 6-3, 6-3. The world No 6’s victory also ensured he moved clear of Alexander Zverev and Dominic Thiem with 22 wins to his name in 2018. Del Potro is in the same half of the draw as Nadal, who is bidding to win a sixth title in the Spanish capital. And he insists he feels he has the weapons in his game to hurt the top players in the tournament. 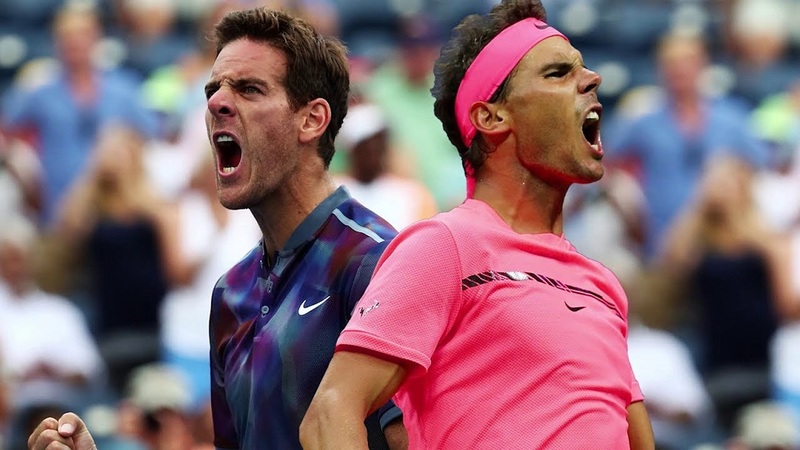 When asked for his thoughts about being a threat to Nadal’s dominance on clay, Del Potro said: “I’ve already tried to do it, but Rafa and many other players have big games to play on clay court. Del Potro also feels that he was able to recharge sufficiently after Miami, adding: “It helped a lot – I did a lot of good preparation for the tournament. Nadal, meanwhile, who begins his campaign on Wednesday against Gael Monfils, is in the middle of a 19-match winning streak. And he is looking to extend his incredible record of having won 46 straight sets on clay. Del Potro’s next match is against Dusan Lajovic, who defeated Richard Gasquet 7-6 (1), 7-6 (1). In the women’s event, top-ranked Simona Halep reached the third round by beating Elise Mertens 6-0, 6-3. Halep converted her fifth match point to win her 14th straight match in Madrid and stay on track for a third consecutive title in the Spanish capital. The 16th-ranked Mertens has played well this year but struggled from the start at the Magic Box and ended up with 31 unforced errors and five double faults. She was coming off an impressive 13-match winning streak, with titles in Morocco, Switzerland, and Tasmania. She also reached the Australian Open semifinals, losing to eventual champion Caroline Wozniacki. Halep next faces Kristyna Pliskova, who defeated Sara Sorribes Tormo 7-5, 6-2. Crowd favorite Garbine Muguruza, ranked third, fought back to defeat Donna Vekic 2-6, 6-4, 6-1 while Petra Kvitova knocked out Monica Puig 6-3, 7-6 (8) to record her seventh straight win. In the men’s event, Fernando Verdasco defeated Paolo Lorenzi 7-5, 6-4 to claim his 500th win, while Robin Haase beat Hyeon Chung 6-2, 6-0 for his 200th victory. Kyle Edmund defeated Daniil Medvedev 6-4, 6-0 to set up a second-round encounter with Novak Djokovic, while Milos Raonic upset third seed Grigor Dimitrov 7-5, 3-6, 6-3 to reach the third round. Denis Shapovalov hit 38 winners to oust Benoit Paire 7-6 (5), 4-6, 6-4 in the second round and 11th seed Roberto Bautista Agut beat Jared Donaldson 6-7 (3), 6-4, 6-4 in the first round. Borna Coric upset ninth seed Pablo Carreno Busta 6-4, 6-2 in another first-round match, while Pablo Cuevas rallied to defeat 12th seed Jack Sock 6-7 (5), 6-4, 6-0. Noah Rubin earned his first berth in the French Open’s main draw by finishing atop the U.S. Tennis Association’s wild-card challenge, while Taylor Townsend assured her fifth consecutive appearance in the clay-court major tournament. The USTA announced Monday that Rubin, a 22-year-old from Long Island, sealed his spot in Paris by winning a Challenger event in Tallahassee, Florida, and picking up points in qualifying at an ATP tournament in Morocco. He also got a USTA wild card for the Australian Open in 2016. Rubin is ranked 196th this week. Townsend, a 22-year-old from Atlanta, won USTA Pro Circuit singles titles in Dothan, Alabama, and Charleston, South Carolina. She’s ranked 73rd but was outside the top 100 when the French Open’s direct entries were determined last month. Townsend’s best Grand Slam performance came at the 2014 French Open, where she reached the third round.